Duct & Vent Cleaning of America, Inc. recently worked with Cooley Dickinson Hospital in Northampton, MA to help maintain and improve air quality in the facility. Duct & Vent Cleaning of America, Inc. has worked with hundreds of hospitals from Washington, D.C. through the northeast over the last 23 years. The company's reputation for getting complex jobs done within budget, on time, and with patient safety in mind is well-known. 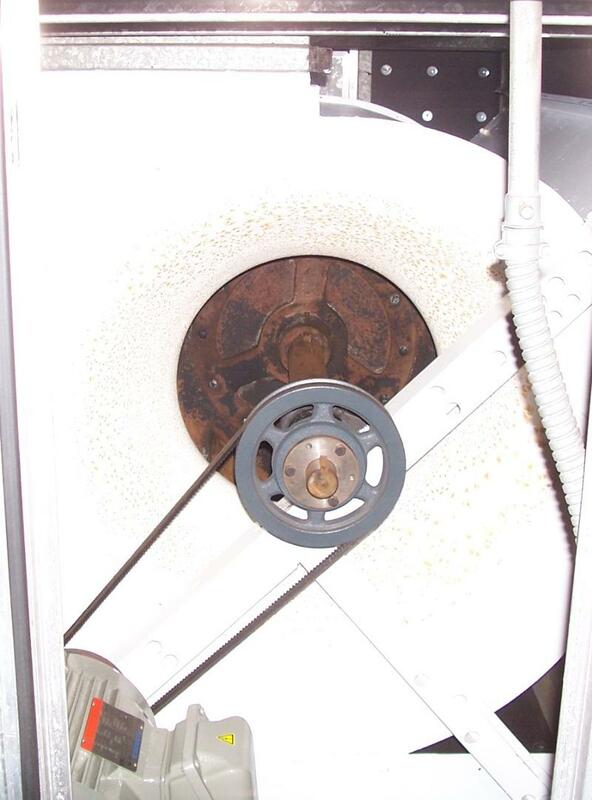 Duct & Vent Cleaning of America, Inc. has multiple NADCA (National Air Duct Cleaners Association) certified personnel on staff to ensure that this, and any project, is handled professionally. All Duct & Vent Cleaning of America, Inc. service personnel engage in extensive safety training and are OSHA 10-hour certified, at a minimum. Duct & Vent Cleaning of America, Inc.'s outstanding reputation and diverse experience were among many reasons the company was chosen for this important project. The Cooley Dickinson Hospital project required careful coordination between Duct & Vent Cleaning of America, Inc. and many of the hospital's internal departments, including engineering, facilities, nursing and most importantly, the Infection Prevention Department. In a hospital environment, cross contamination and threats to the patients and facility could develop if proper procedures are not in place during the cleaning and restoration processes. "Cooley Dickinson Hospital requires an Infection Control Risk Assessment (ICRA) to be performed on all projects," said Director of Facilities, John Lombardi. The assessment confirms what level of measures are required to protect patients based on their medical conditions. This project included the intensive care unit which has a very high level of concern and protective measures. "We had to ensure theindoor air quality surrounding the patient care areas was not compromised at any time during our work," said James Choquette, Vice President of Duct & Vent Cleaning of America, Inc.
From planning through completion, the Cooley Dickinson Hospital project took more than 180 man hours. The entire job was completed in the evening, over four consecutive days. Duct & Vent Cleaning of America, Inc. power-washed and degreased two air handling units' blower fans and enclosures, H.E.P.A. vacuumedinside the unit, and power-washed all of the coils. The interior surfaces of both units were also sanitized and the exterior of the squirrel cages were coated with Fiberlock IAQ 8000, an insulation sealant which contains an EPA registered fungicide to resist mold growth on the cured film surface. One air handling unit was also stripped of all accessible fiberglass insulation, which was then replaced with 1-inch Armaflex closed cell insulation. This extensive project has helped Cooley Dickinson Hospital prevent any potential indoor air quality problems before they exist. It will also help the hospital maintain industry-leading, high quality air, giving patients the best opportunity to heal and get home quickly. "Cooley Dickinson Hospital is one of the most proactive hospitals we work with," said Choquette. "They are constantly finding ways to maintain and improve the indoor air quality in their facility." Replaced Armaflex closed cell insulation. 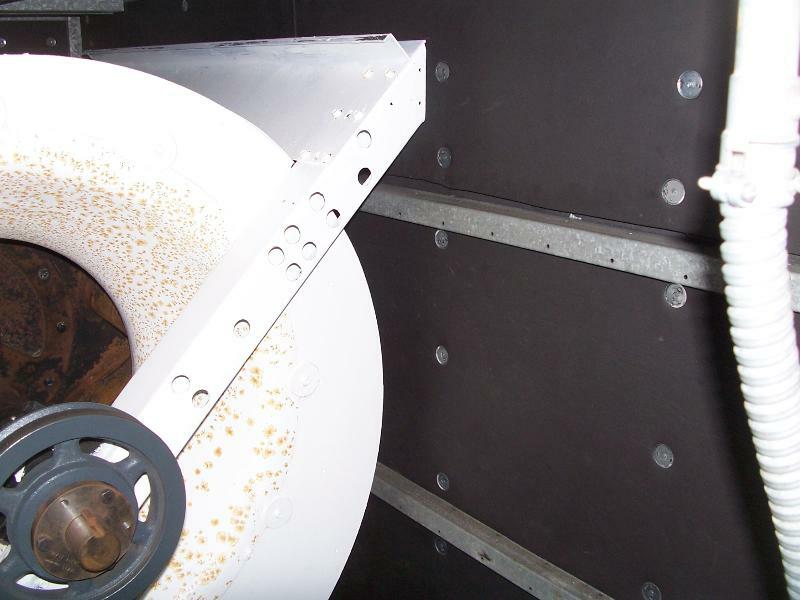 Supply air fan coated with Fiberlock IAQ 8000.